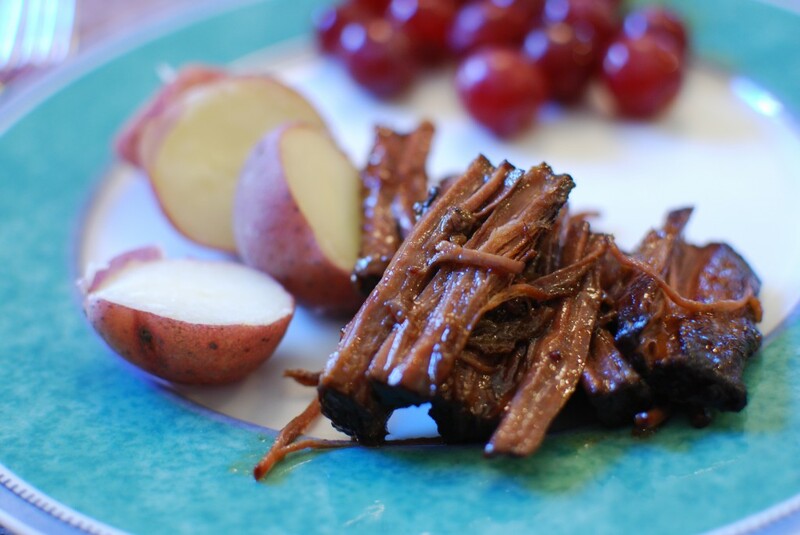 This pot roast recipe is so good! I’ve made quite a few pot roast recipes and they all seem to be missing something, but the sweetness from the cranberry sauce adds that missing element. Everyone enjoyed this dinner, and it will certainly become a favorite at our house. Definitely company worthy too! Heat large skillet over medium high heat, and add oil. Then add the roast and brown well on all sides. Place roast in a 2.5 quart baking dish. Add remaining ingredients to the skillet, stirring constantly until the cranberry sauce melts. Pour sauce over the roast int he baking dish, cover and bake for 2.5 – 3 hours, or until meat is fork tender.